Here, you’ll find our different men’s T-shirts. 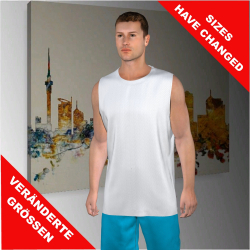 You can design your individual, all-over full colour sublimated shirt easily online now! 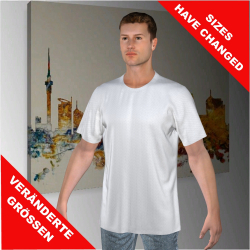 At first, you choose the fabric you like and then, you continue to create your shirt in our online shirt designer. It’s no problem at all to upload pictures, graphics and logos and to place them wherever you like! We don’t predefine a limited framework, but give you the opportunity to create whatever you feel like on the entire shirt surface. 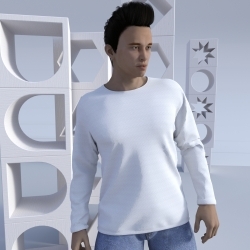 You have the possibility to look at your shirt anytime using the 3D preview in our designer. Just get started!